William Dutton was born in 1995 in Leeds. He asked to play the violin aged 3 and began taking lessons when he was 4. In 2004 his talent was recognised by the Kazakh virtuoso Marat Bisengaliev; he subsequently studied with Marat and his wife Vassilia and then with Raimonda Koço in Leeds. In 2008 William gained a place at the Yehudi Menuhin School where he studied with Lutsia Ibragimova. As a pupil of the Yehudi Menuhin School, William regularly performed as both a soloist and in chamber music recitals. He led the viola section of the Yehudi Menuhin School Orchestra in the Menuhin Festival in Gstaad, Switzerland in 2012, playing on Lord Menuhin’s Testore viola. 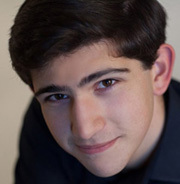 In November 2013 William led the 1st violins of the YMS orchestra as they toured Holland, giving concerts in The Hague and in Amsterdam where they accompanied the finalists of the Youri Egorov International Piano Competition. 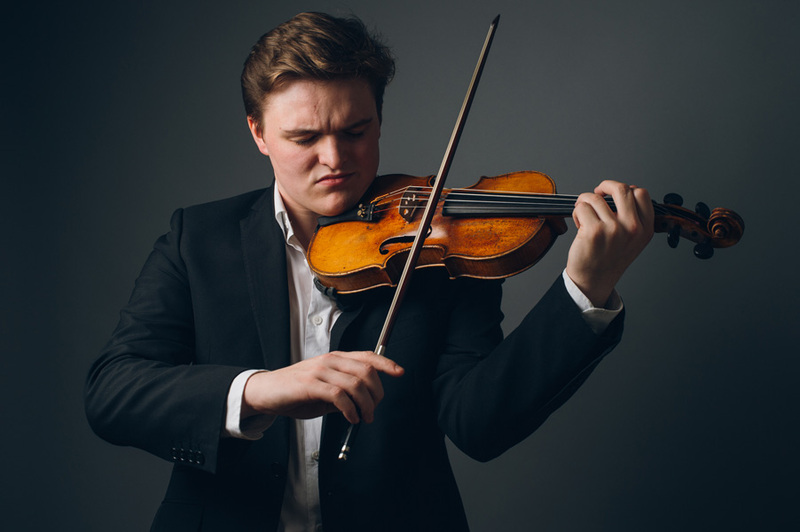 Whilst studying at the Yehudi Menuhin School, William worked alongside artists such as Heinrich Schiff, Jeremy Menuhin, Alina Ibragimova, Valeriy Sokolov, Charlie Siem and Paul Watkins, playing in venues including the Menuhin Hall, the Royal Festival Hall, the Barbican, Wigmore Hall, Cadogan Hall and The Mansion House. 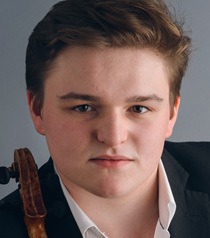 In April 2014, William won the Strings Final of the BBC Young Musician of the Year Competition, and in 2017 he was awarded 3rd Prize at the Concours d’Interpretation Musicale de Lausanne. William completed his Bachelor degree in 2017 at the Haute École de Musique de Lausanne under the tutelage of Professor Svetlana Makarova. 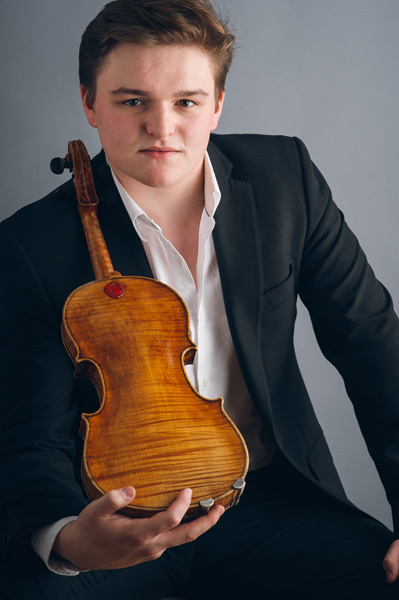 While studying there he was kindly supported by the Bramall Trust and he is delighted to represent the musical foundation ‘Talent Unlimited’ as one of their Artists. William currently plays on a 1731 Cremonese violin very kindly on loan to him by Jonathan Sparey and the Jumpstart Jr. Foundation in Amsterdam. The violin was previously owned by the late Michael Rabin.